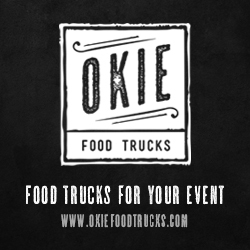 Food Truck Fridays are back! 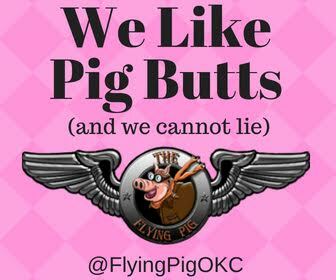 As we lead up to Heard on Hurd (returning to Downtown Edmond July 21), we’re helping you discover the best food trucks in the state. Thanks to Citizens Bank of Edmond for sponsoring these reviews. Have you ever noticed how many Oklahoma T-shirts have buffalo on them? Or oil derricks? Scissortail flycatchers? It’s almost like Oklahomans are grasping for some kind of symbolic coherence to explain why we live here. Because, let’s be honest, most of Oklahoma looks like most of everywhere else. Part of that is a function of how small the world has become. Not only do ideas move around the globe faster than ever, but products do too. Every place in America is served by one big store (Amazon) and several smaller ones. So the things that separate us from the rest of the world become harder to identify. We don’t have a particularly notable landscape, but we do have some animals that are slightly less scarce here than they are elsewhere. And we do have a lot of oil being drilled. All of this is to say, I wish someone would finally immortalize on a T-shirt one of Oklahoma’s true originals: the fried onion burger. You know I’d be wearing that shirt threadbare. 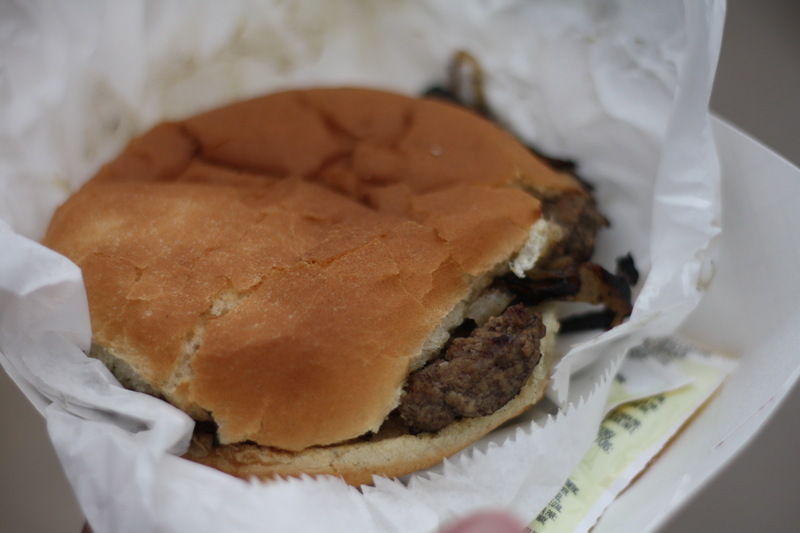 For those who don’t know, the history of the onion burger originates in El Reno, Oklahoma. During the Depression, which was large, but not particularly great for Oklahoma in general, an enterprising burgersmith decided to combine a very cheap ingredient (onions) with a more expensive one (beef) to stretch his burgers a little further. 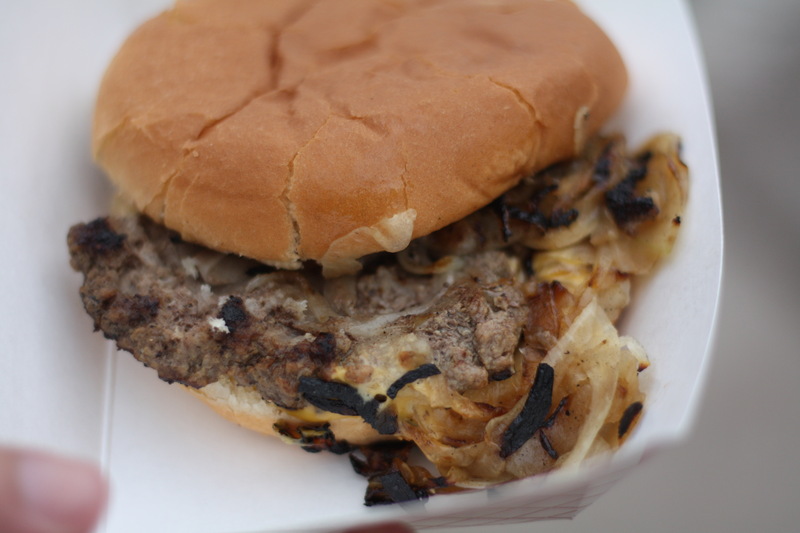 In the years since, the El Reno onion burger has become one of Oklahoma’s most-treasured meals. 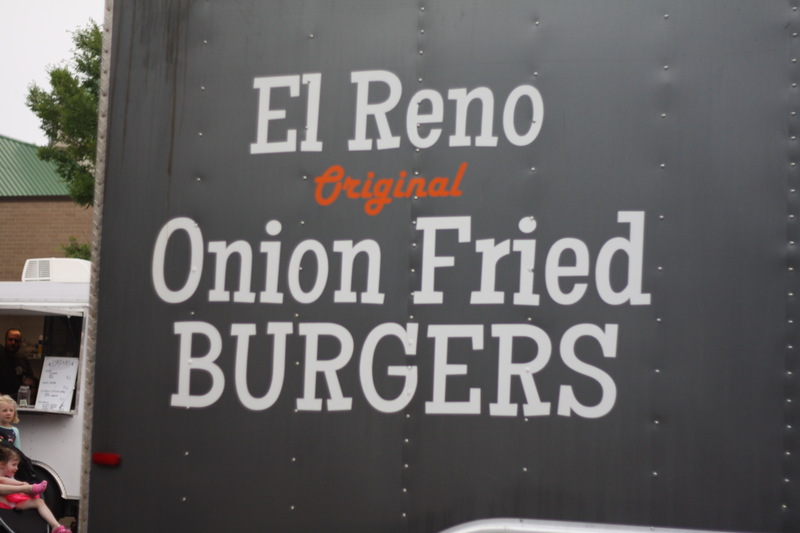 And, in the era of food trucks, it’s little surprise to see the hit El Reno Original Onion Fried Burgers has become. Owner Jordan Formby and his son Gage mostly work the truck on the weekends or for special occasions as a side hustle. Jordan purchased the truck (and learned the secrets of the onion burgers) from Geoff Eaton, whose family owned and ran Coney Island in Stillwater — the restaurant where I first experienced the onion burger. Inside the truck, it’s a sparse affair. The main attraction is the grill, salvaged from a restaurant in Chickasha that was only ever used for onion burgers. The steam and smoke pours off it, waiting for Jordan to load it up with balls of meat that are pressed down with a concrete trowel. “It’s the only thing strong enough for all the scraping and smashing,” he said. Onions, hamburger, cheese and buns on the griddle. On top of the meat he adds a handful of ultra-thin slices of onion. Too thick and the burger can’t absorb them, which keeps the onions from caramelizing and stops the burger from really coming together. He then flips the burgers onion-side down and stacks the buns on top of the meat — further infusing the dish with onion flavor while steaming the buns for a more tender bite. 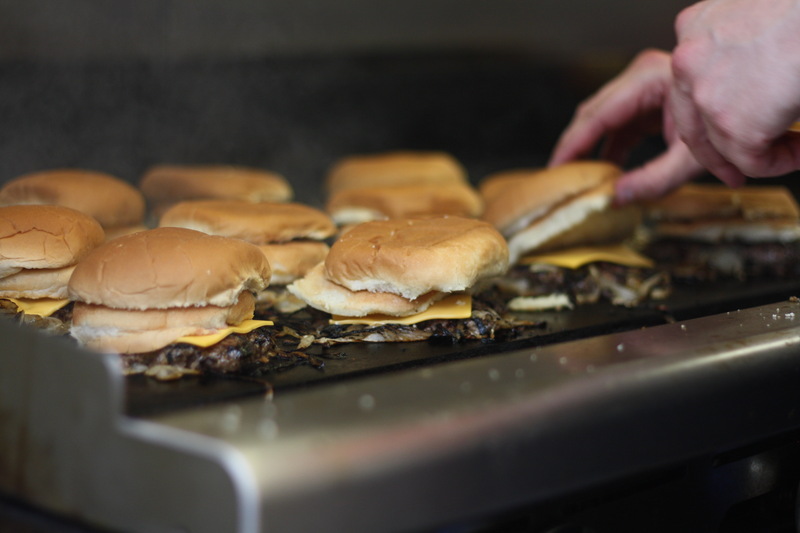 As they cook, he lifts each bun and slides on a slice of American cheese that quickly begins to melt into the burger, fusing with the onions. Anybody else getting hungry? Yeah, sorry about that. Sorry if this portion of the review seems short, but here’s the thing I love about El Reno Onion Fried Burgers: they only serve two things. 1. Onion burgers with cheese. 2. Onion burgers without cheese. That. Is. It. And let me assure you that specialization definitely pays off. I’m sure Jordan can cook all manner of delicious things, but he’s on that truck to serve onion burgers and that’s all. You can get a bag of chips and a can of soda, but if you want something cooked, it’s going to be an onion burger. Period. The plain onion burger is absolutely loaded with onions and they inform the flavor of the beef and vice versa. The fat from the hamburger softens the harsh bite of the onion and the onion imparts its moisture into the burger, which remains tender even when cooked through. I like mine with some mustard, because I’m a good person who does things the right way. While the plain onion burger is good, the addition of cheese really pulls the dish together. Melted cheese further eases the edge on the onion and gives each bite a creamy, gooey sweetness. The way the cheese finds the cracks and crevices in the meat means every bite is a little different, but they’re all delicious. As Jordan said, if you’re going to do something, do it well. He might not be native to El Reno, but he’s definitely learned the secrets to making great fried onion burgers. And I, for one, am grateful he and Gage will be out on the weekends spreading the gospel of these perfect bites of Oklahoma history.